Does Unocoin Support My Country? What Limits Does Unocoin Have? How to Sell Bitcoins in India on Unocoin? Can You Order Bitcoins with PayPal at Unocoin? 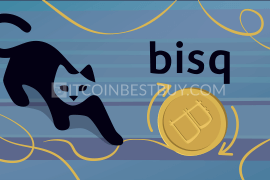 Does Unocoin Have Own BTC Wallet? How to Withdraw My Money from Unocoin? How to Buy Bitcoins from Unocoin? How to Register on Unocoin? 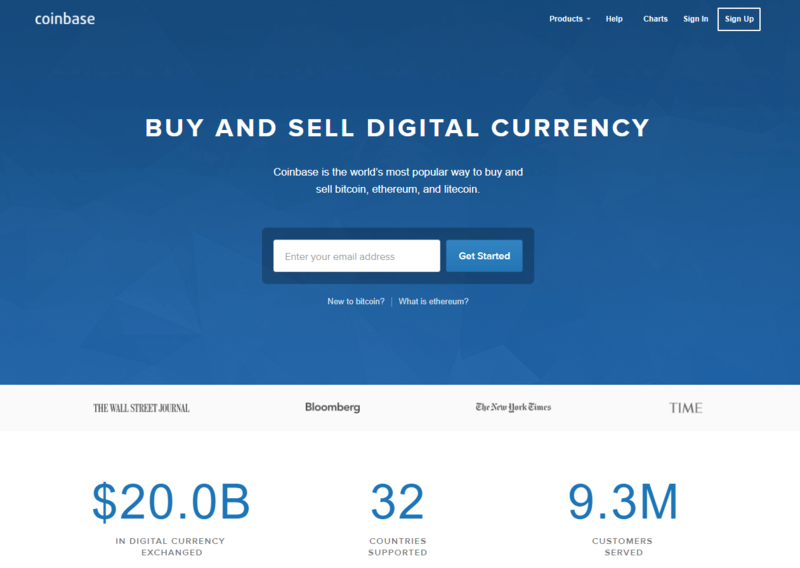 Can I Buy Bitcoins Without Verification? How to Add Money to My Unocoin Account? How to Secure My Unocoin Account? The Unocoin bitcoin exchange review will show just how easy it is to purchase bitcoins within Unocoin exchange. We have done the investigation instead of you, saving you both time and effort from doing so by yourself. Proceed to the “Dashboard” page. 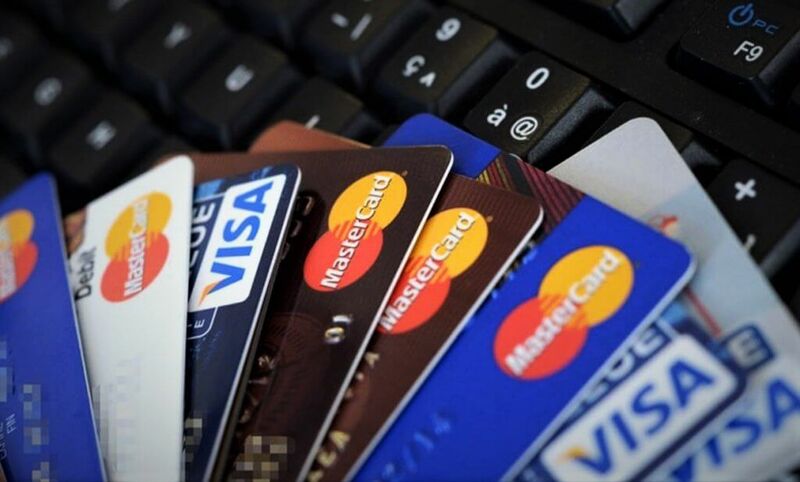 Choose one of the payment methods. 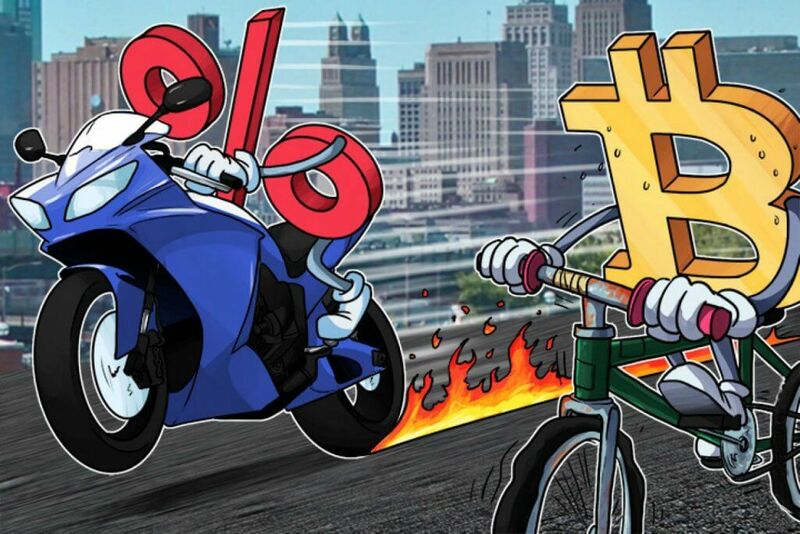 Set the amount of bitcoins you wish to buy. 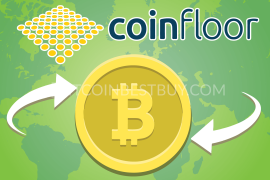 Click “Buy Bitcoins” button and wait while transaction would be processed automatically. 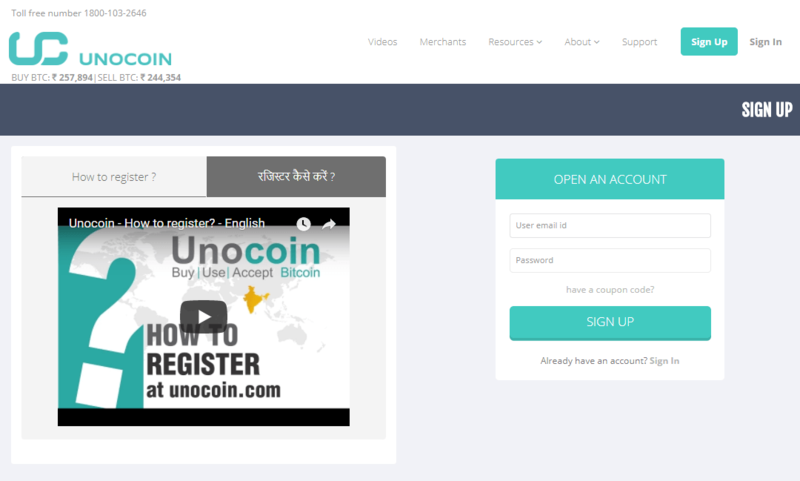 If you are located in India, Unocoin would be a great choice to purchase bitcoins from. 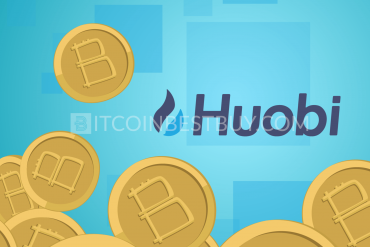 This guide will provide you with in-depth analysis of Unocoin services through step-by-step tutorials on how to purchase, sell and withdraw bitcoins. 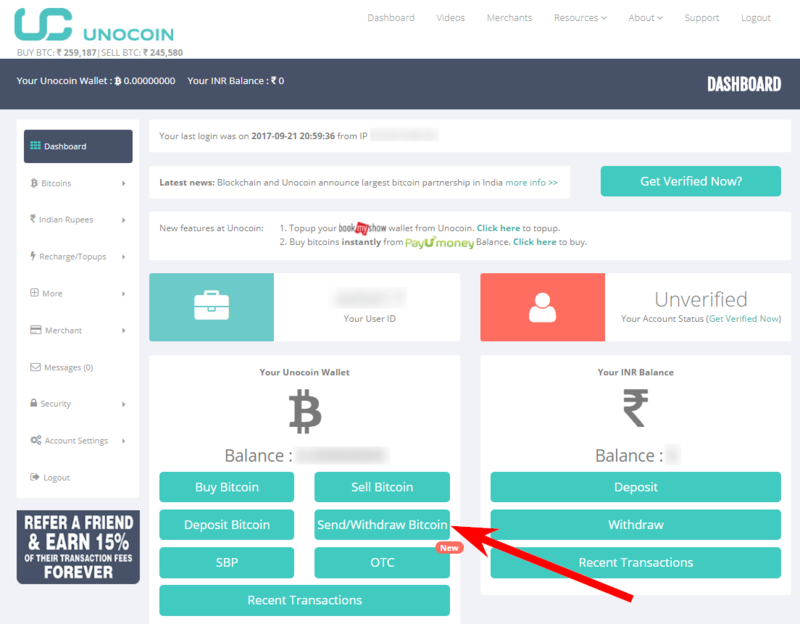 Unocoin is an Indian exchange company that is specialized in bitcoin trading, offering its services to traders from India. 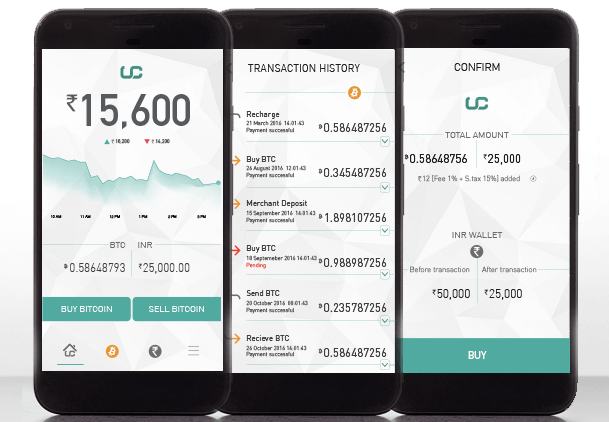 With over 150,000 users, Unocoin offers website platform for Windows, Linux and Mac while mobile applications are available for iPhone and Android users. 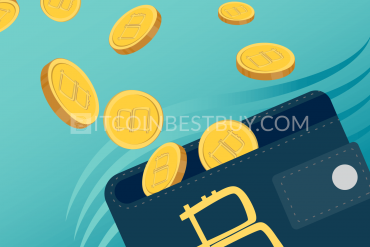 You, as a trader, can purchase, sell, send and receive bitcoins with the help of Unocoin and this article will present you important information about the exchange in terms of fees, limits, pros, cons and BTC purchase guides. 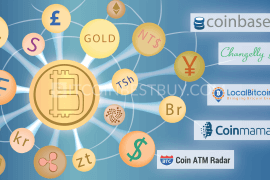 The Unocoin Technologies Private Ltd. is a firm that has been operating in bitcoin market since 2013 and has established itself as one of the leading bitcoin companies in India. 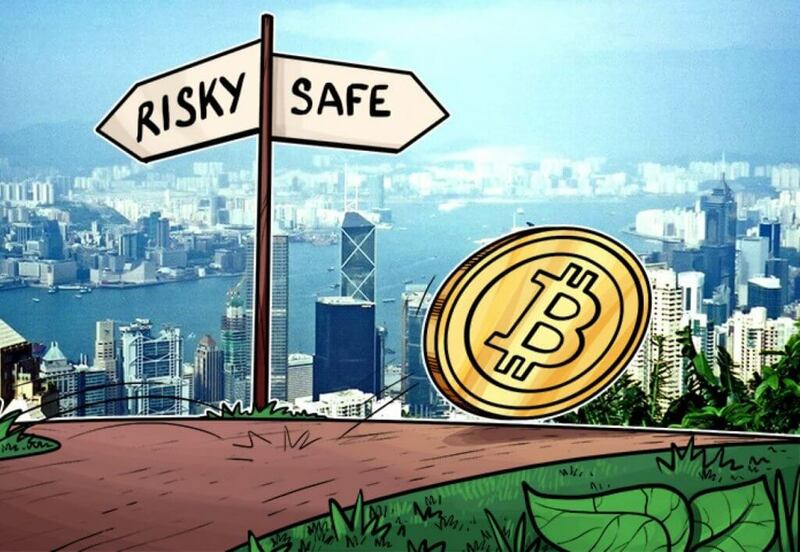 Although their customer services are poorly rated by many reviewers, the BTC trading has been steady since its establishment. Buying or selling bitcoins at Unocoin would cost you 1% of the transaction value and with Gold Membership (full verification) the fee would fall down to 0.7%. In addition to the trading fee, the government levied IGNT would charge you additional 18% of your transaction fee. Let’s take a look at an example: you buy BTC at price of 20,000 INR. The transaction fee would be 200 INR. The IGNT fee would then be 18% of the 200 INR, driving total costs to 20.236 INR. Net banking and PayU Money would cost you 1.9%. Sending, receiving and storing BTCs are done without any fee involved. Withdrawal to your private BTC wallet address would currently cost you 0.0001 BTC. Using Google Authenticator, you would receive a 6-digit code to your phone that you would use to log into your account. 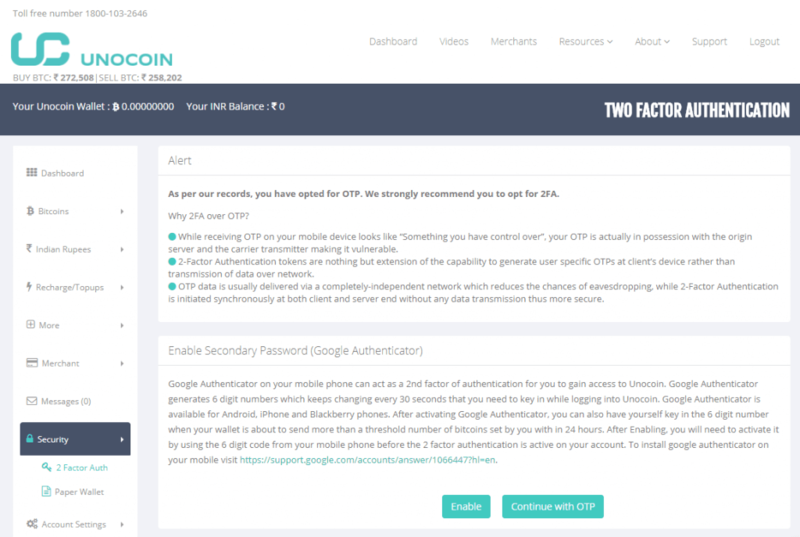 The two-factor authentication is available for Android, iOS devices, and Blackberry mobile devices. 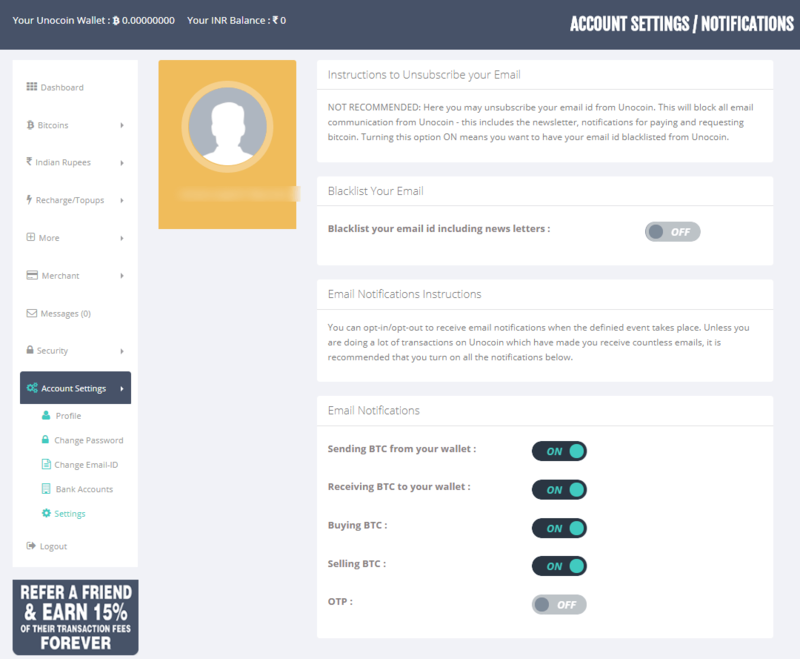 You can enable email notifications on all of your Unocoin account activities, giving you the opportunity to identify hack attack early on. All transactions, password changes and other activities would be recorded and your inbox by an automatic email which would cut out precious time to react should you find that those activities were not taken by you. 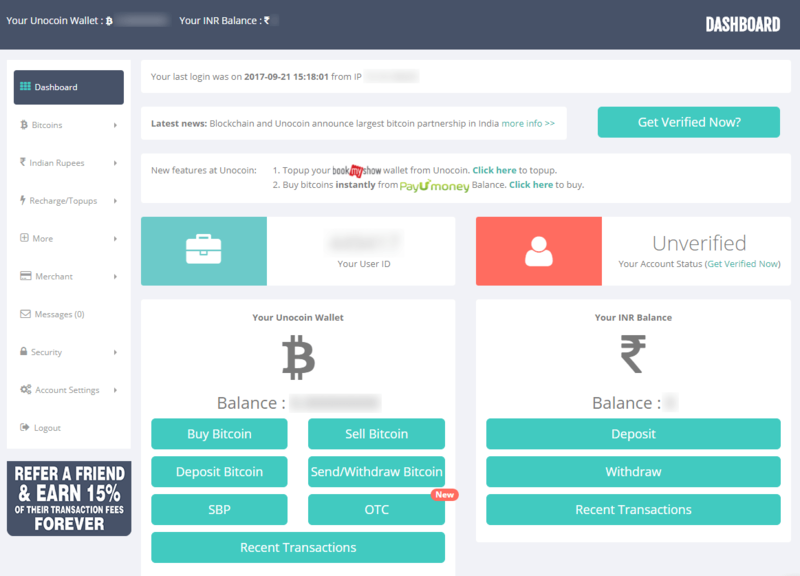 Apart from Unocoin, if you are based in India you can also purchase bitcoins from Zebpay and Coinsecure with both exchanges being Indian-based. Zebpay offers gift vouchers for traders that could be used with coupon code though fees are hidden in the BTC price. 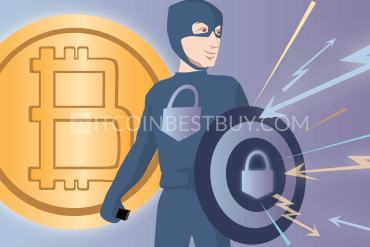 Coinsecure offers bitcoins for similar fees like Unocoin though with an additional payment method that Unocoin does not offer – cash purchase. Unocoin is an Indian-based bitcoin exchange and serves only Indian traders. 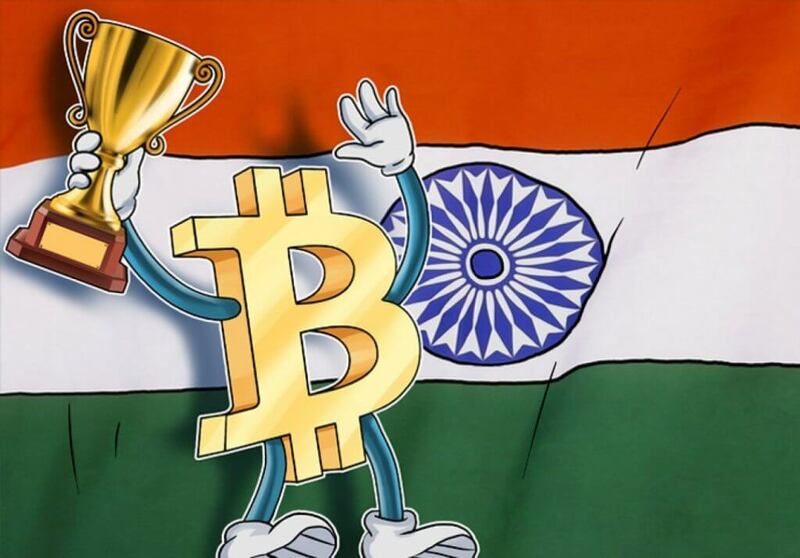 If you happen to possess an account at Indian bank with INR currency, BTC funding would then be available for you. Once you complete the verification process, you would be allowed to buy and sell 10 bitcoins per day. 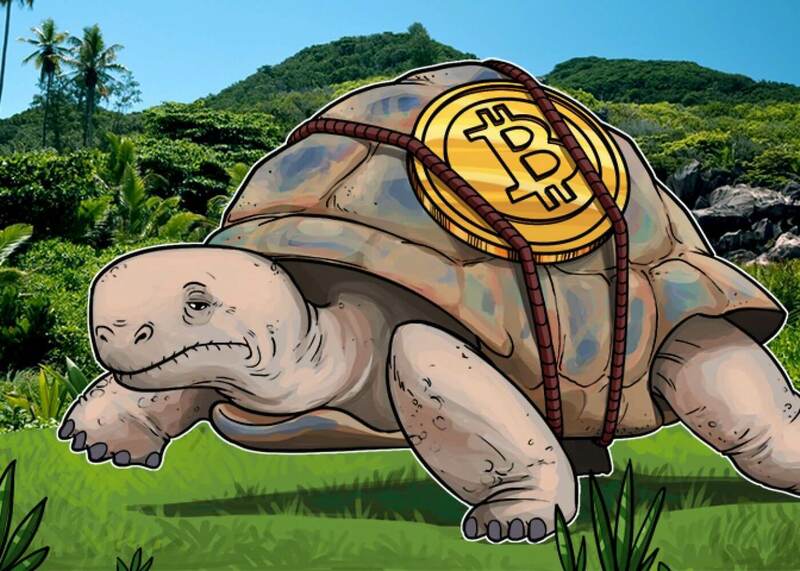 After 60 days of transactions (minimum amount of 100 BTCs is to be traded through purchase and sale), you would be offered a Gold membership, where your limits would double. The current situation with customer support is rather poor due to a large number of traders involved in day-to-day bitcoin trade. The support inquiries would take a long time in answering email tickets, while PAN card verification is required on yearly basis. The usual deposit order processing takes between 3 to 4 hours, though with heavy traffic the wait time could increase to 24 hours. The processing hours are stated as between 10 AM to 7 PM on regular business days, from Monday to Saturday. The Unocoin offers to sell the option for all traders, so all you have to do is to open Unocoin dashboard and click “Sell” button. Choose the amount of BTC you wish to sell and then click “Sell Bitcoins”. You’ll be charged 1% of your transaction value (check the calculator for values); while the INR you’d get from selling BTC would end up either on your bank account or in your Unocoin INR wallet. 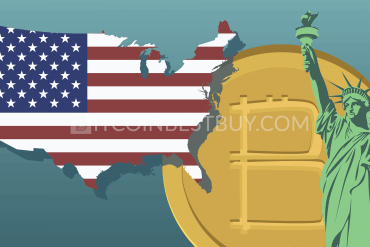 Only Indian payment methods and currency are accepted, You would be unable to purchase BTC with PayPal, since the USD transactions are not accepted at Unocoin. 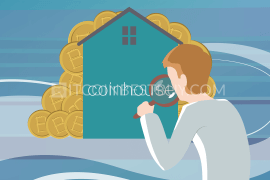 The bitcoins and funds could be stored in the website for trading purposes but the wallet feature is not available at Unocoin. 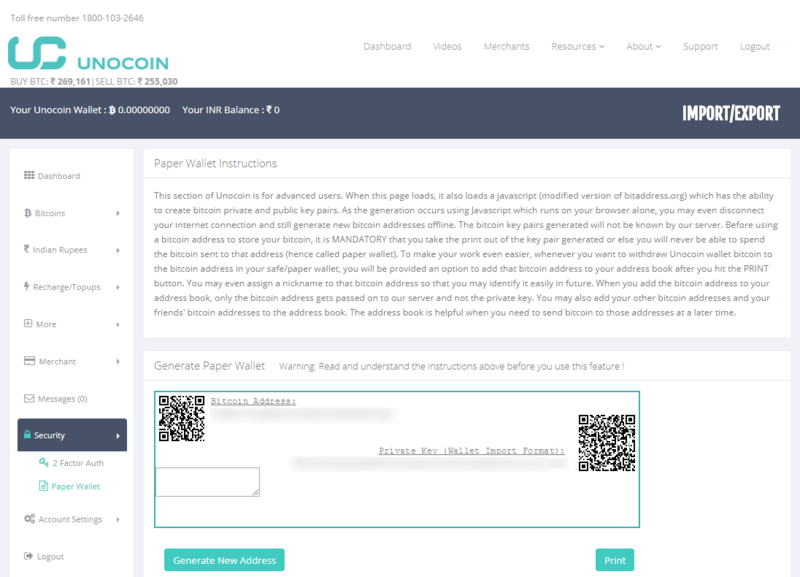 On your Unocoin dashboard, click the “Send/Withdraw Bitcoin” to transfer BTC from the website to your wallet address. If you want to withdraw your funds, simply click “Withdraw” button to transfer money to your bank account. 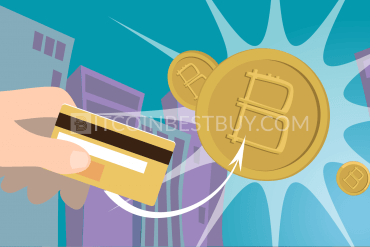 The purchase process is the same with bank cards and bank account as you would need to check Netbanking option and then click “Buy Bitcoins”. Enter the card number of your Indian bank account and wait until you receive your bitcoins. 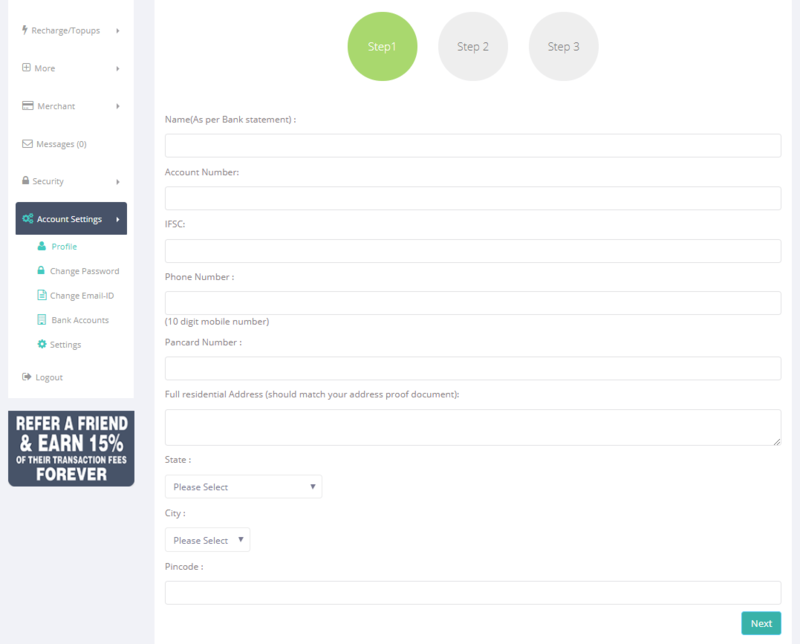 INR wallet (already deposited funds). PayU Money (you would need PayU account). 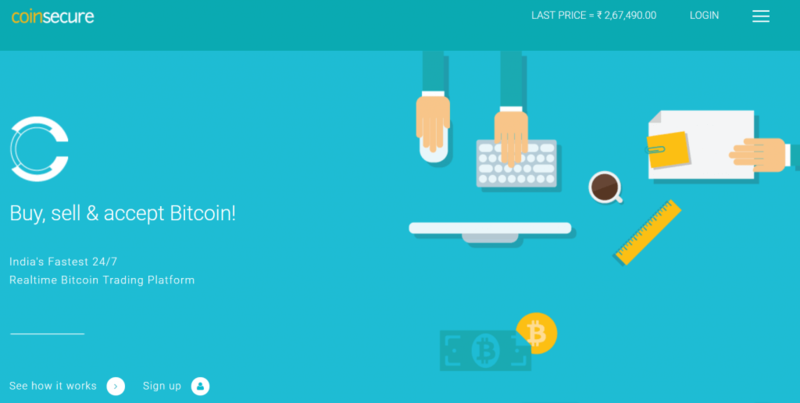 You would need to open an account at Unocoin at the homepage. Once you have provided your email and password, you would then need to verify your email, ending the registration process. The verification process usually takes between three to five business days if you have all documents ready at hand. 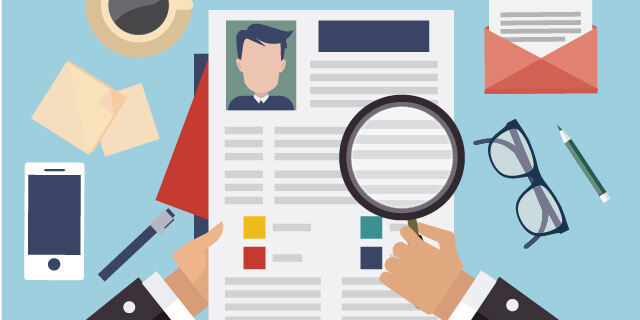 The verification steps can be finalized quickly but the actual verification and documents check-up could take a week. 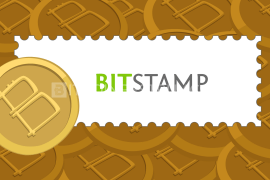 You cannot trade bitcoins without verification of your address, PAN card, email, phone and ID. 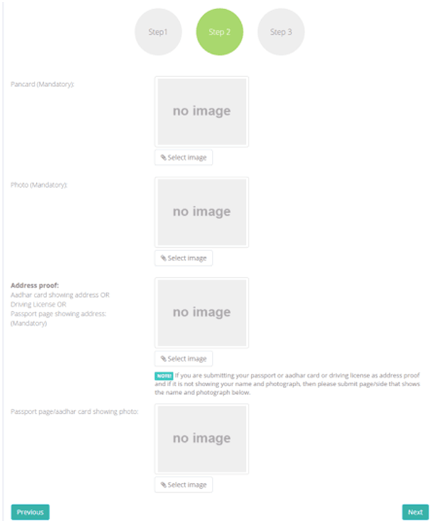 The exchange has disabled the purchase option for traders that are unverified until the moment they provide the necessary documentation. 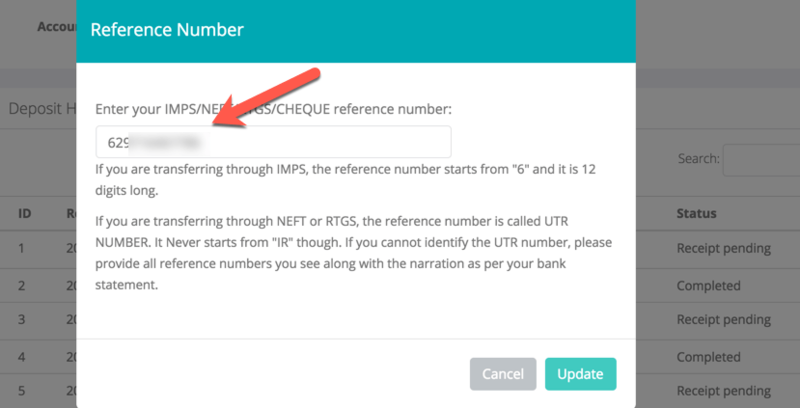 You can deposit money through NetBanking service (NEFT/RTGS/IMPS) or through your PayU account. 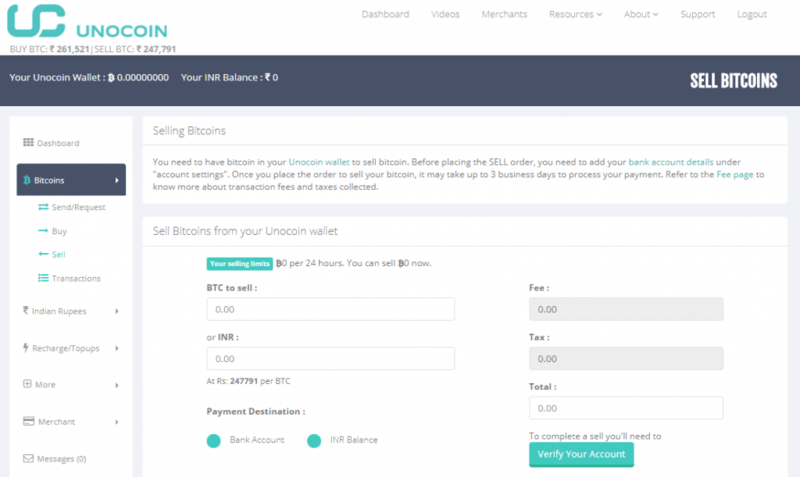 The only accepted currency at Unocoin is INR (Indian Rupees) while USD and EUR transactions are currently not supported. To start the purchase process go to the “Dashboard” page and click “Buy Bitcoin” button. 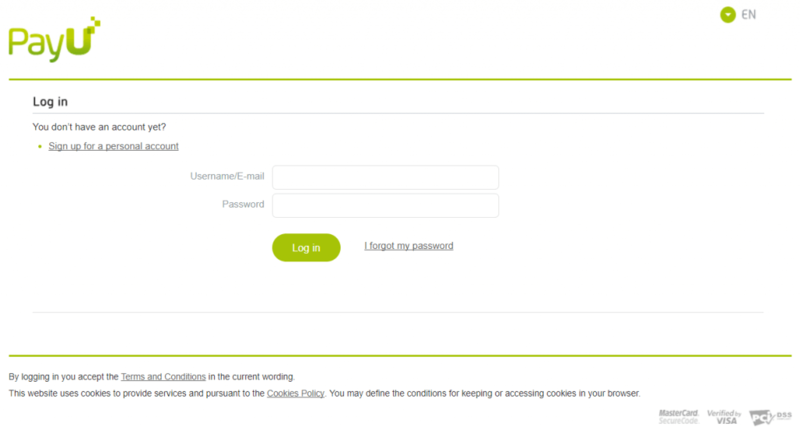 Check the payment method you wish to use to deposit the funds to your account. 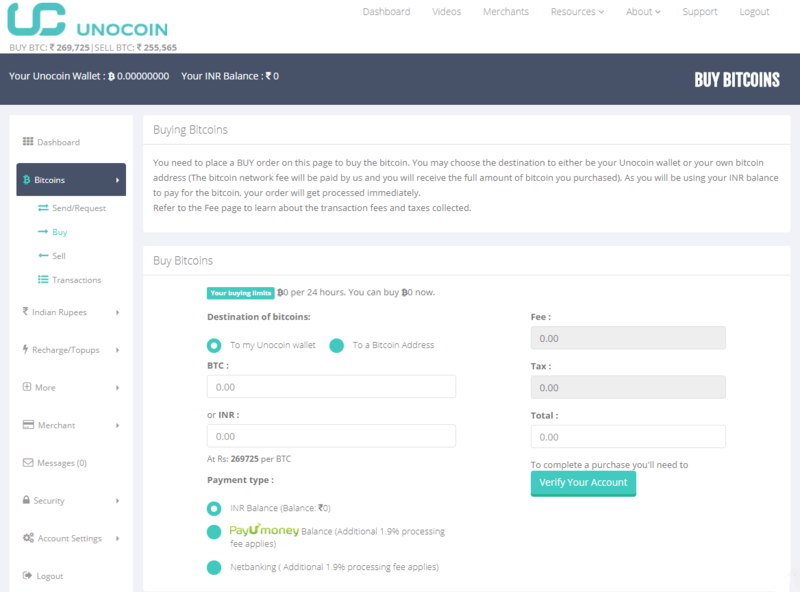 Set the amount of BTC you wish to purchase and then simply click “Buy Bitcoins” button, which will redirect you to your homepage while transaction would be processed automatically. Use email notification system by clicking “Security Option” on the left side of the menu and then click on “2Fact Auth” to enable notifications to your email. Fill out your personal details as well as the PAN card information in the step 1. 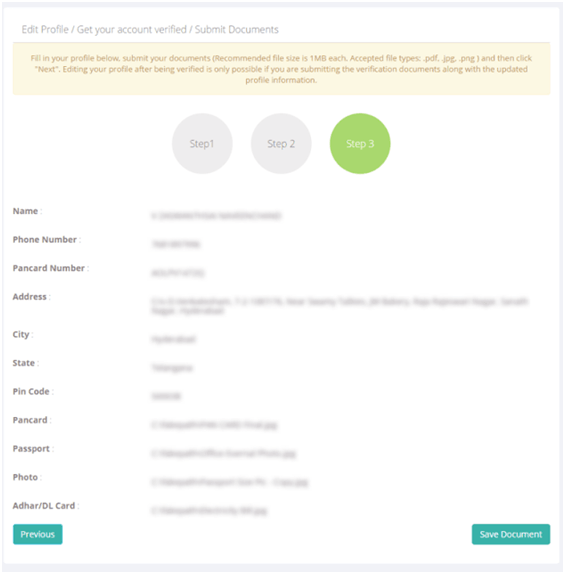 In step 2, you would be required to upload scanned copy of your ID as well as a selfie. In step 3 simply fill out the spaces and click “Save Document”. Unocoin supports both smartphone and iPhone mobile platform, Android and iOS apps respectively. 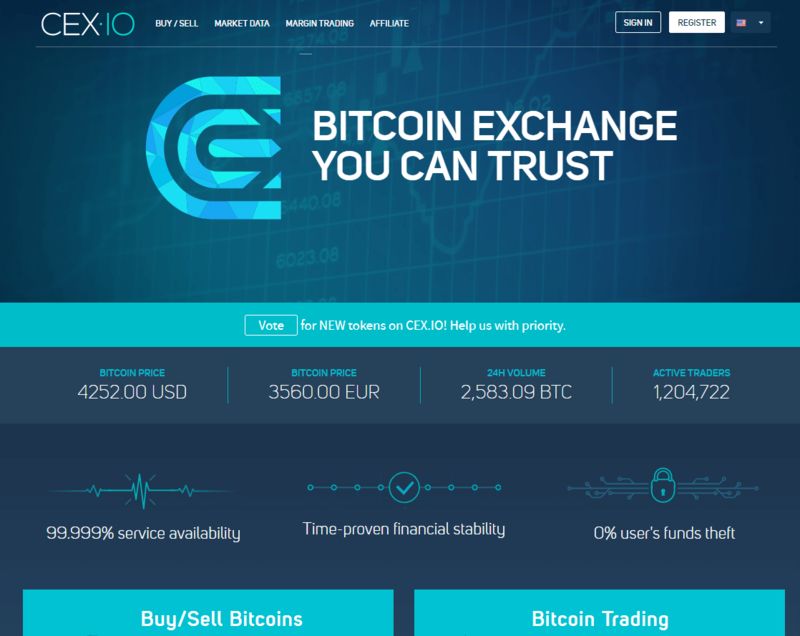 Apart from Unocoin, there are other exchanges that you can use to get BTCs and we have created reviews for several of them (CEX.io, Coinbase and VirWox). 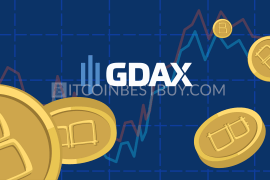 We have detailed responses on Coinbase exchange: purchase and withdrawal methods, fees as well as the availability of currencies and coins. If you are PayPal user, then VirWox would be a good choice to make. 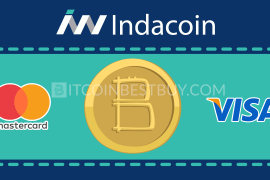 We compiled a report on how to purchase BTC from VirWox while providing general information about this exchange. 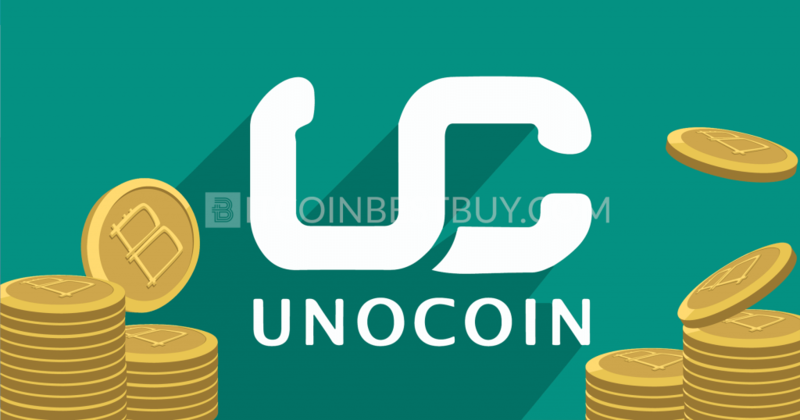 Should you have any question concerning Unocoin that you have not been learned by this guide, feel free to contact us at BitcoinBestBuy.